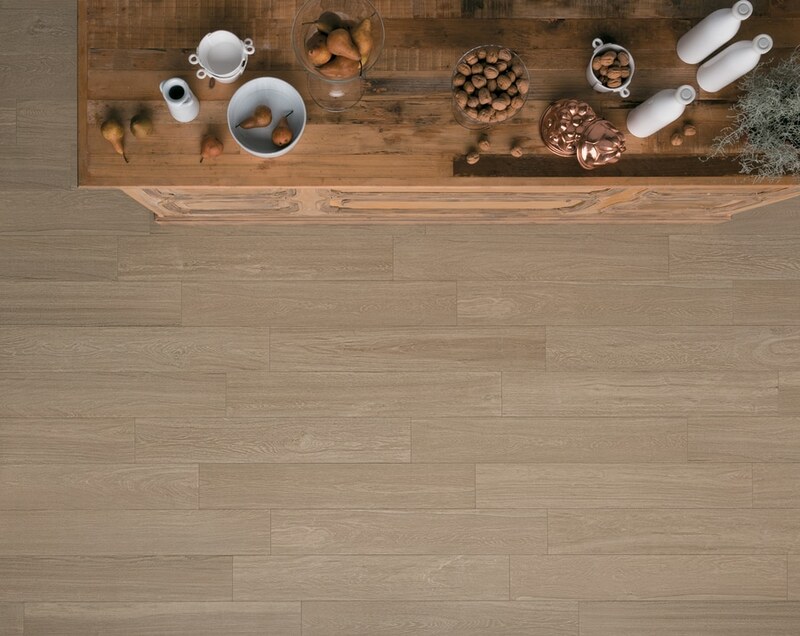 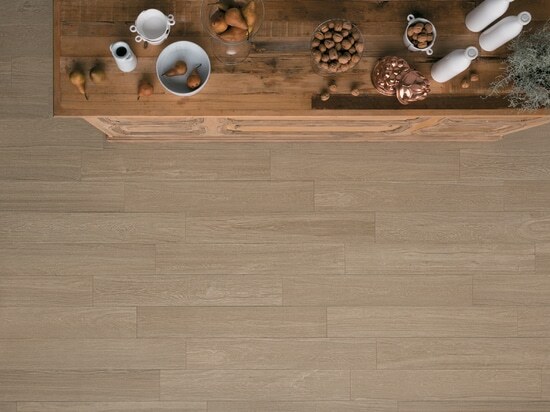 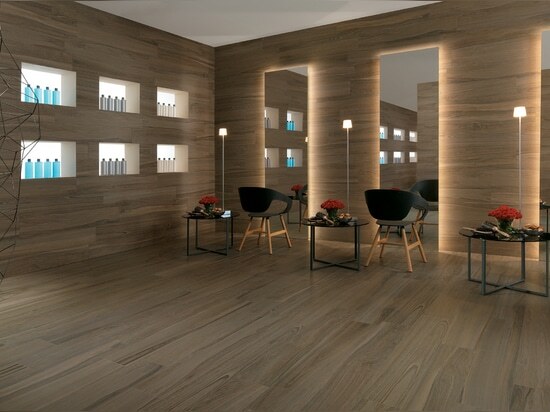 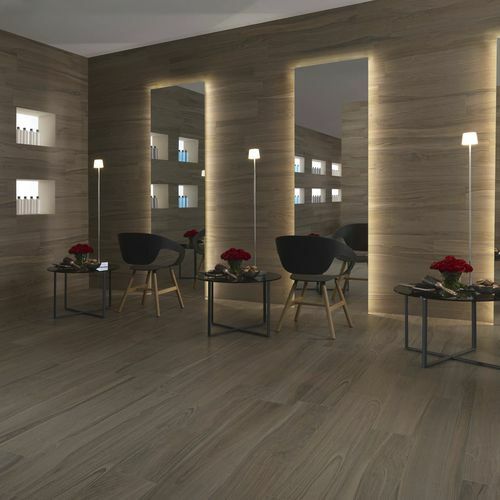 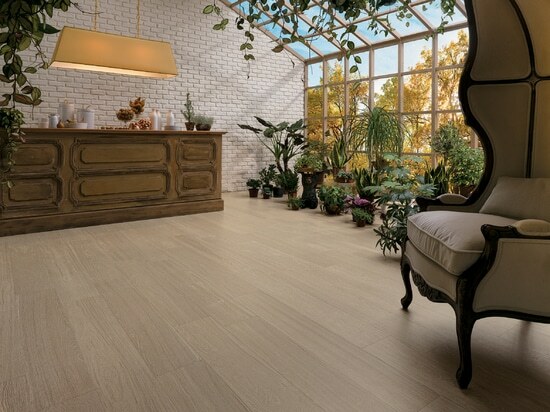 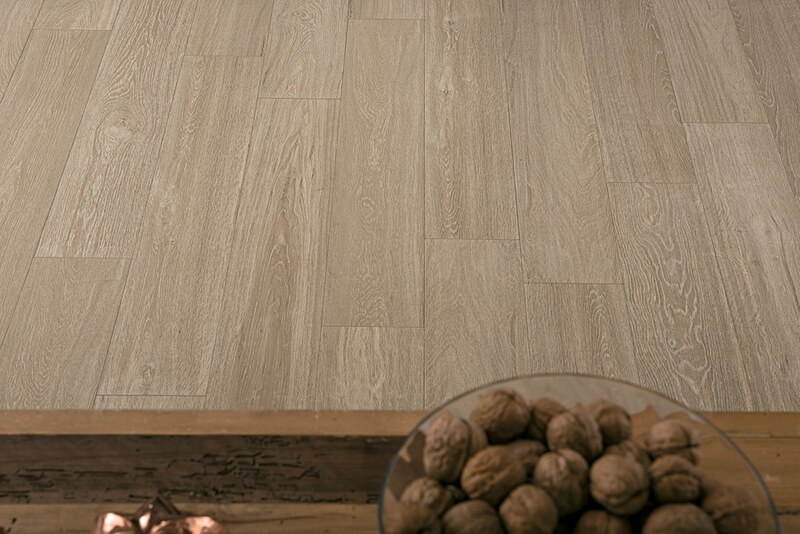 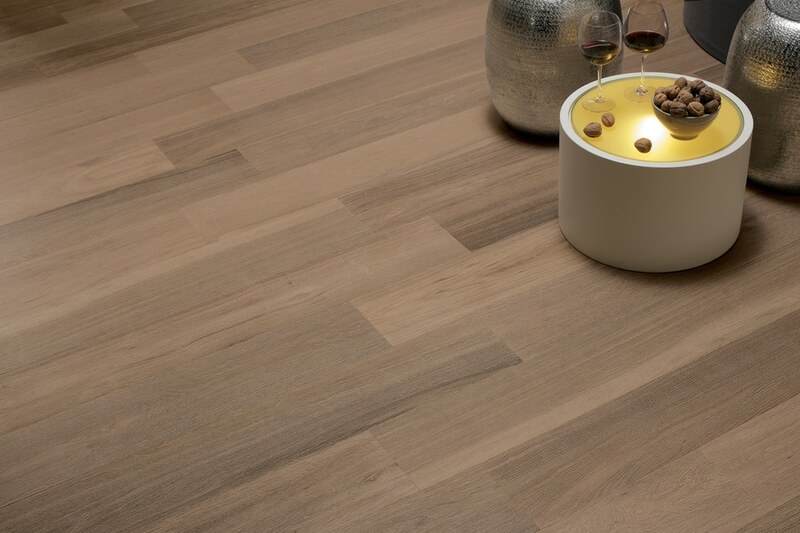 Novoceram, French ceramics manufacturer since 1863, presents a collection of Wood Effect tiles in colored in body Porcelain Stoneware, inspired by the most recent essences of natural Wood. 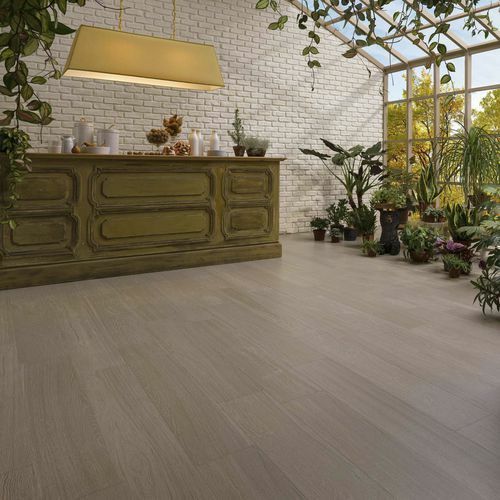 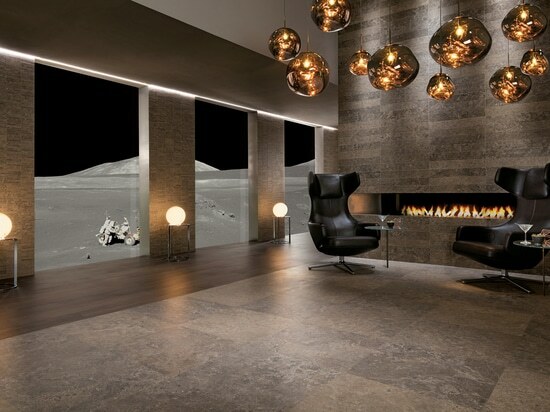 Napami is a collection of tiles in colored in body porcelain stoneware by Novoceram, French ceramics manufacturer since 1863, designed for interior floor and wall coverings. 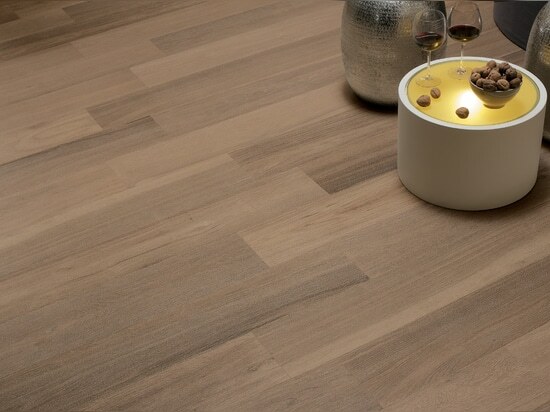 Napami represents five different interpretation of Parquet, five essences, available in five different finishes, each identifying a specific living style and its own unique universe of reference. 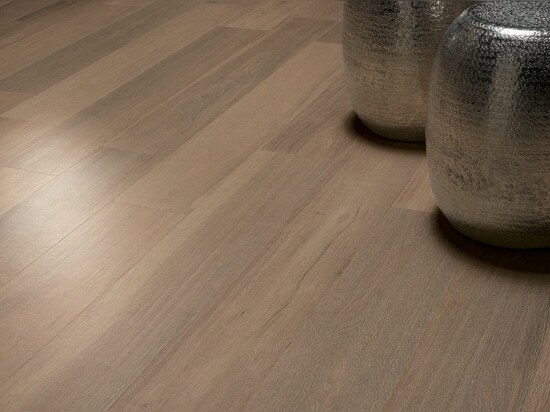 Napami Brossé has the appearance of bleached and brushed oak. 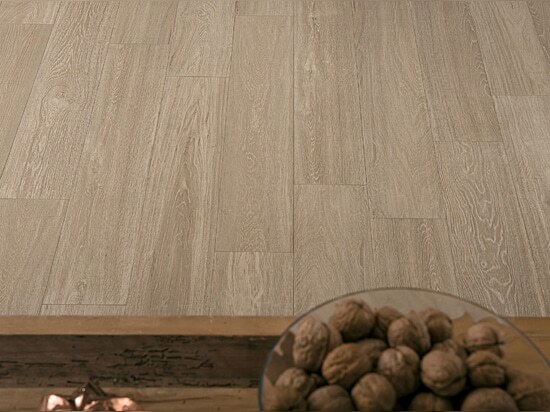 Neutral and luminous, it leaves wide discretion as far as furnishings are concerned and recalls the style of the greatest north european Designers. 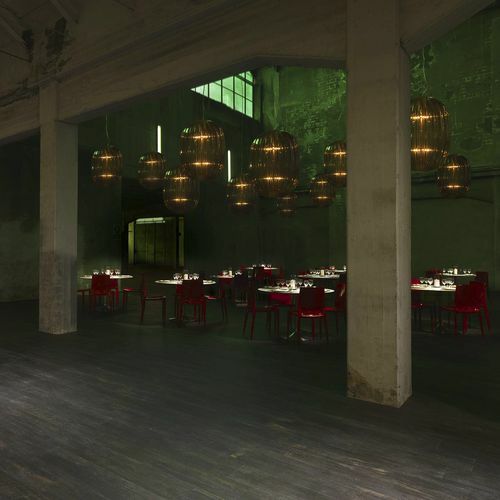 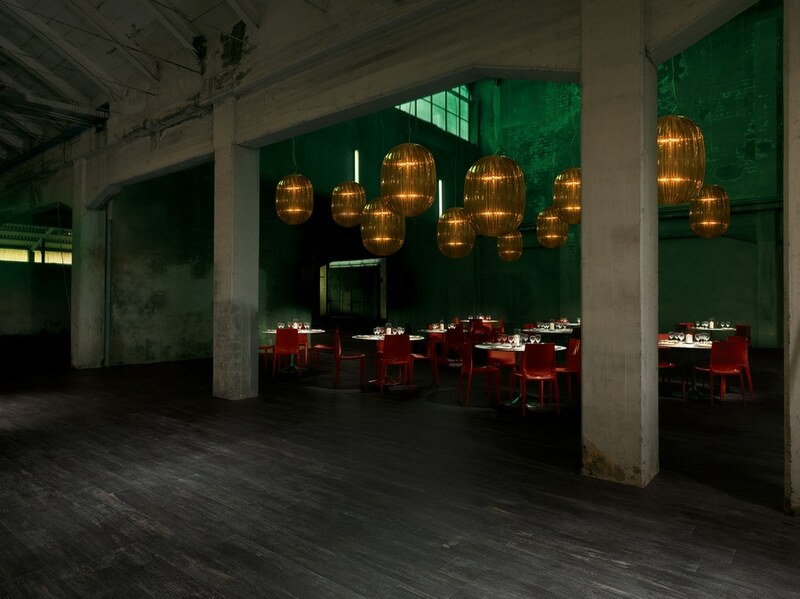 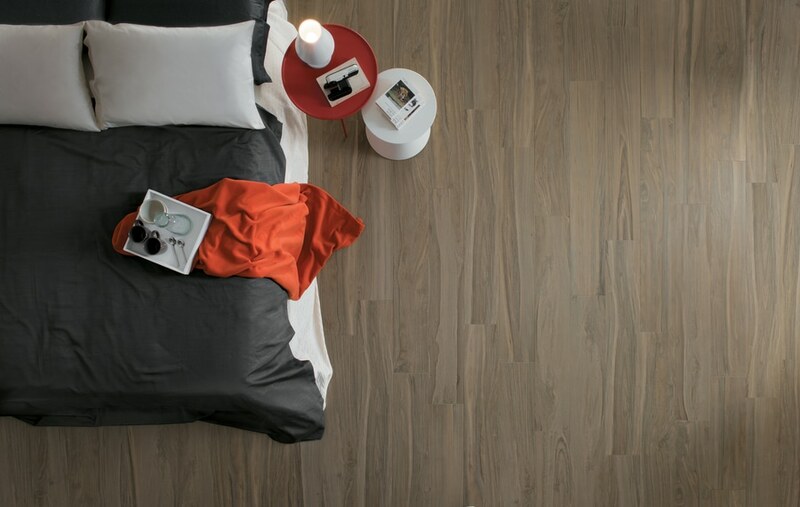 Napami Moiré is inspired by the oak floorings of traditional Hausmanian buildings. 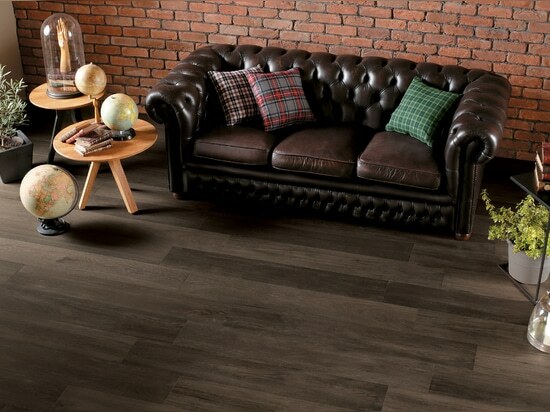 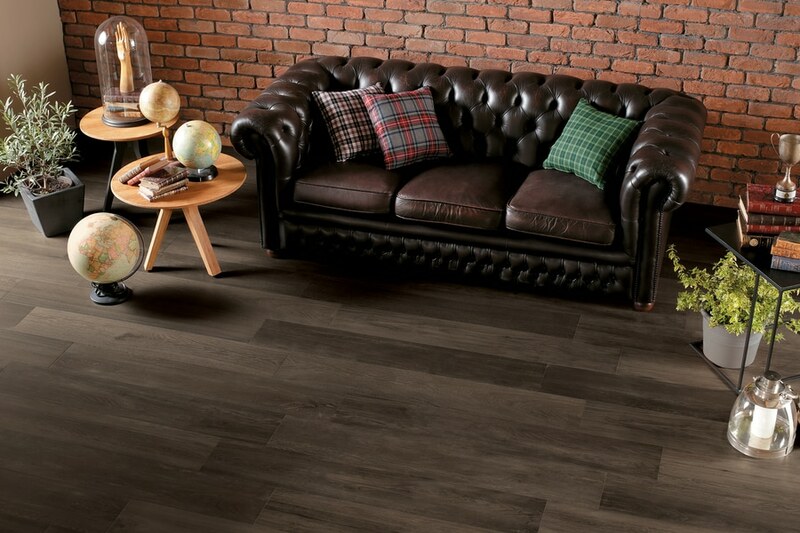 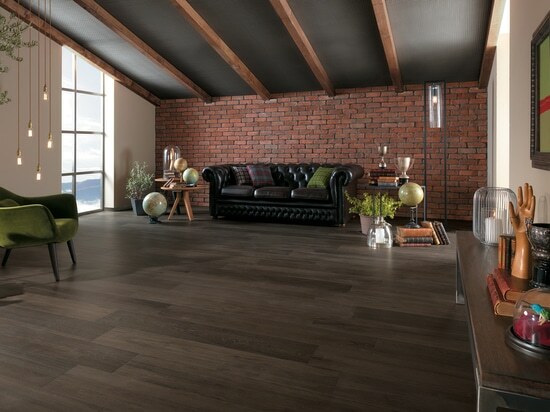 A floor with terrific character, able to make the most of the characteristics of the living style conceived by the designer. 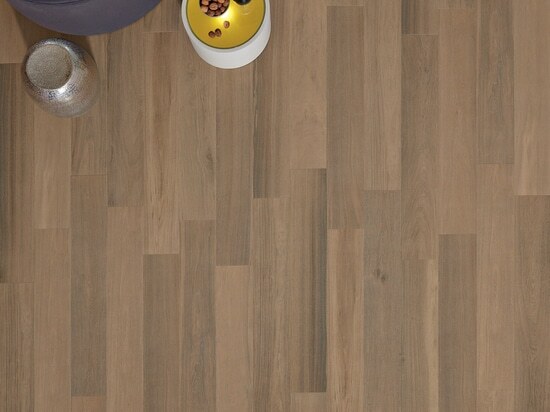 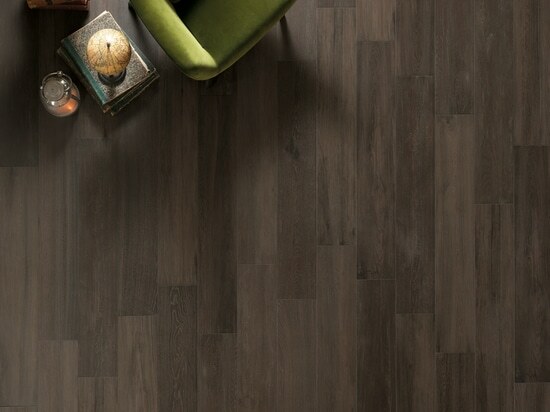 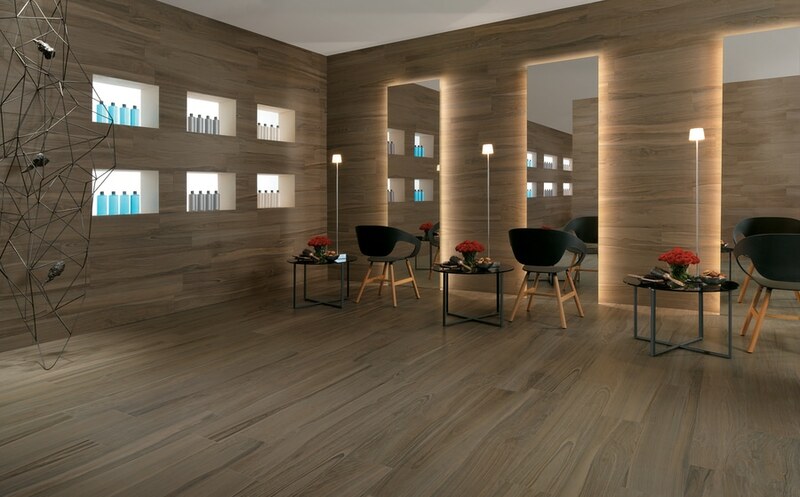 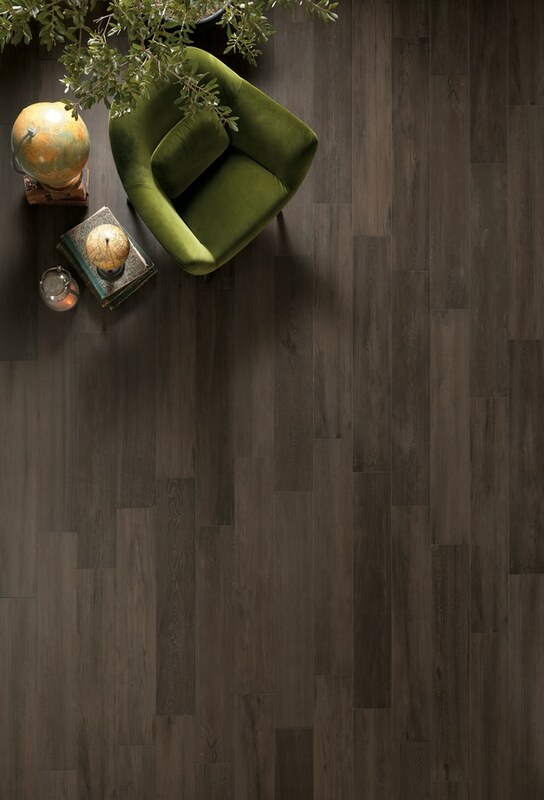 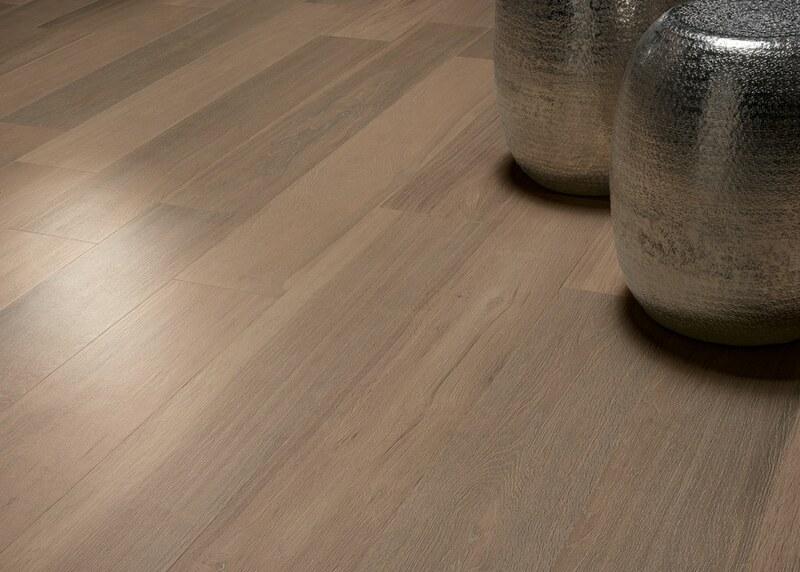 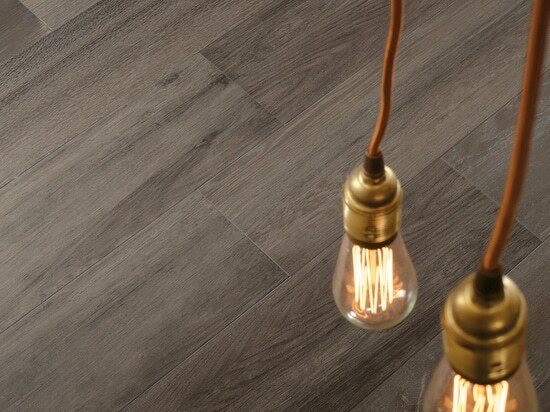 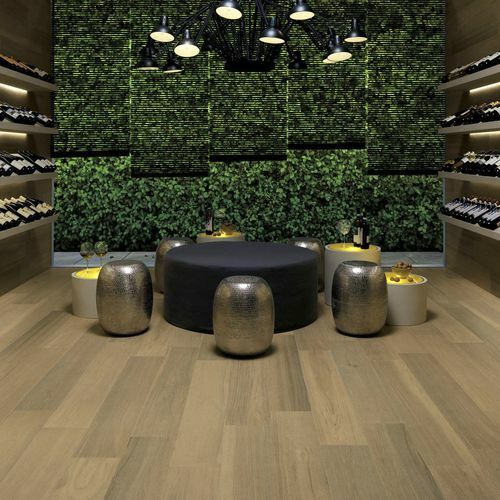 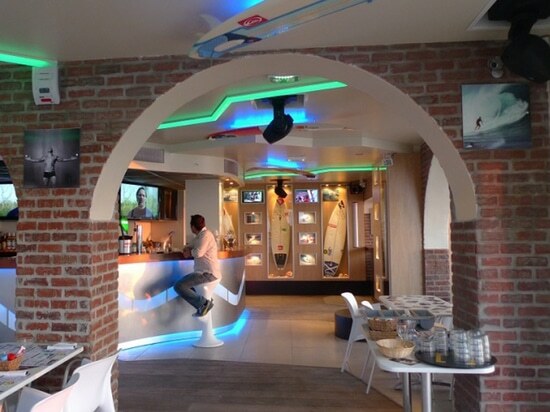 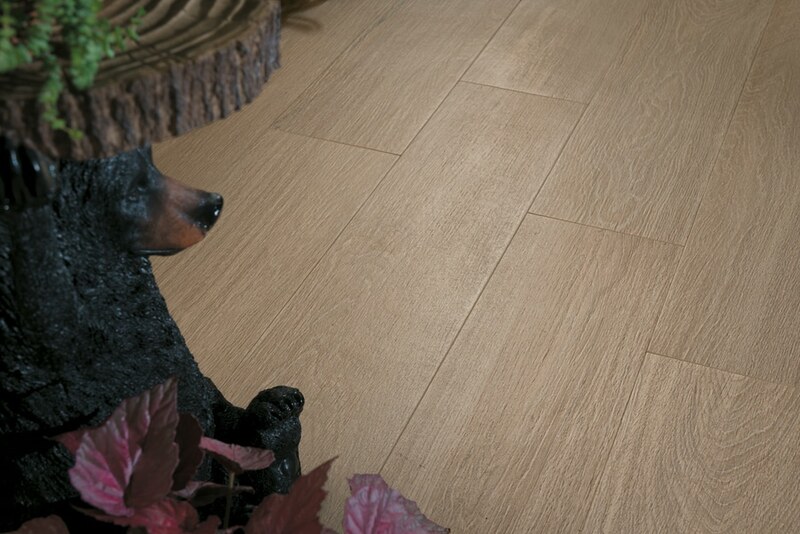 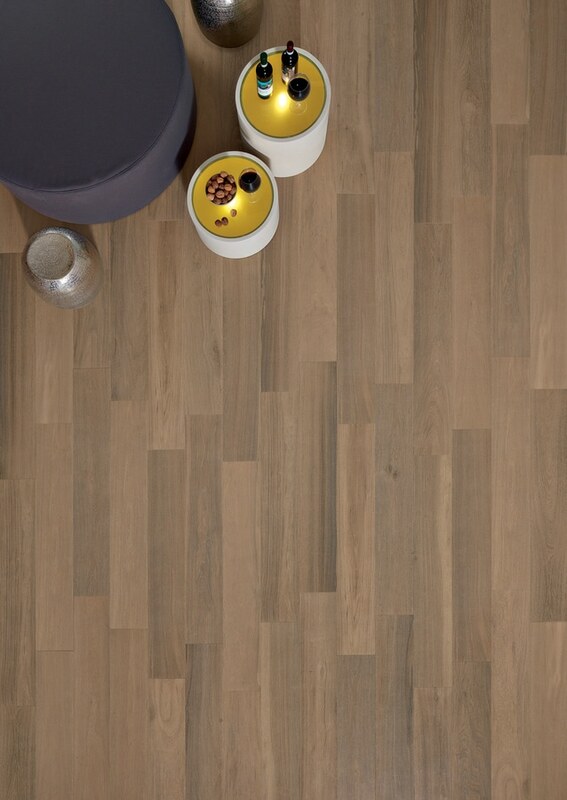 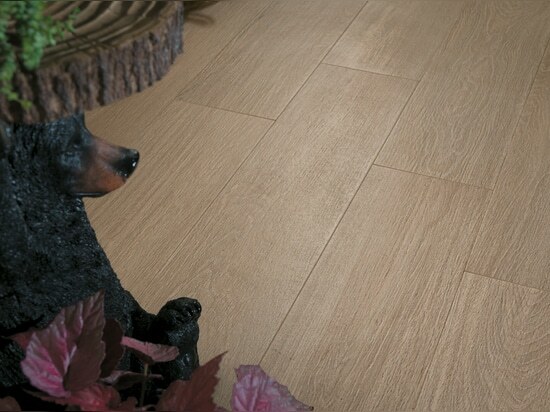 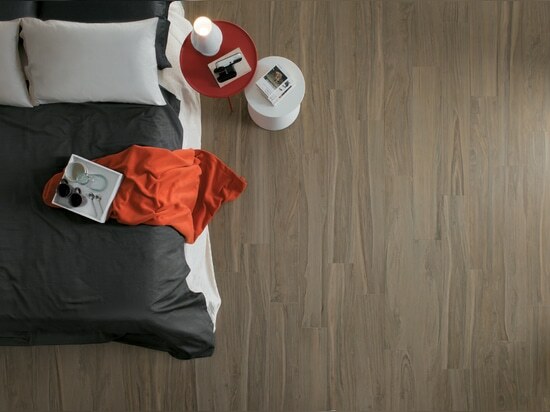 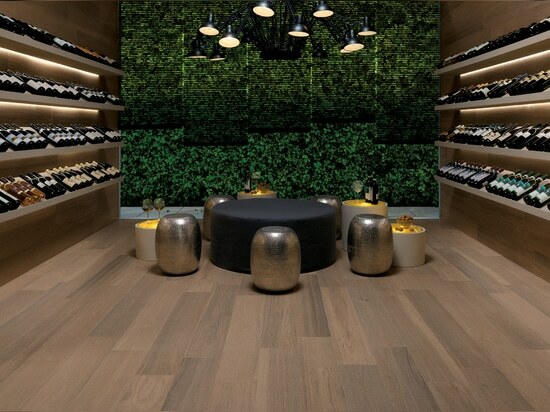 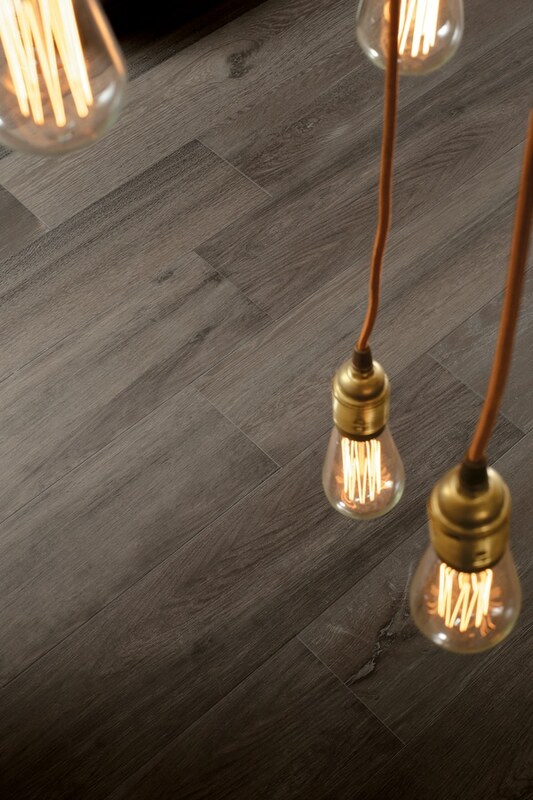 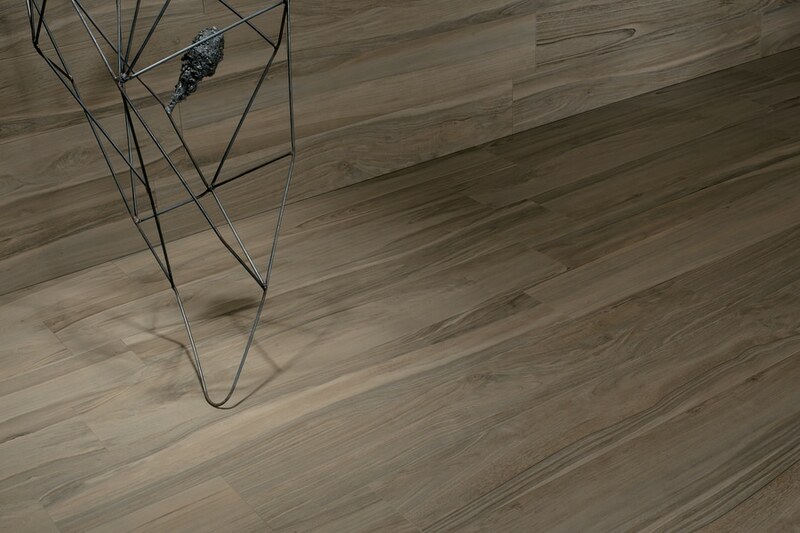 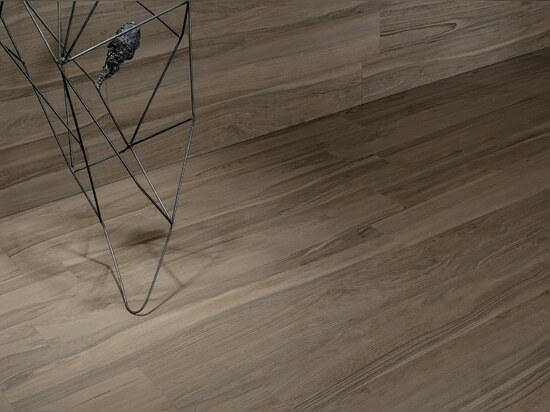 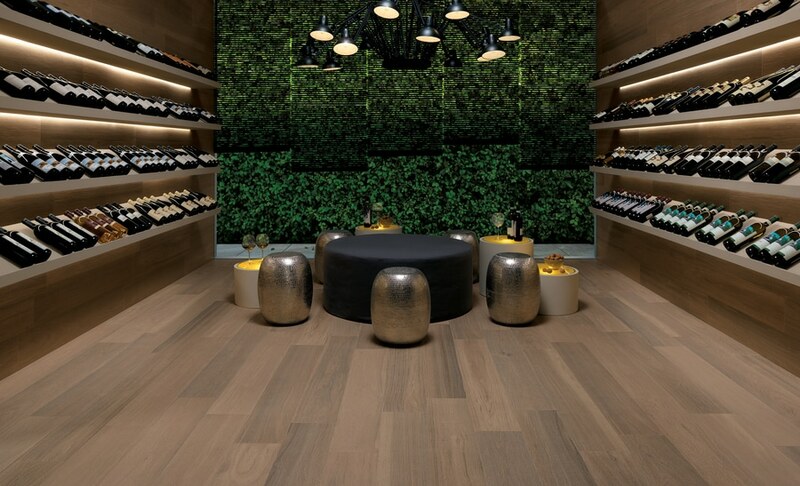 Napami Tanné is an elegant and refined floor, which offers a wide range of selected antique oak planks. 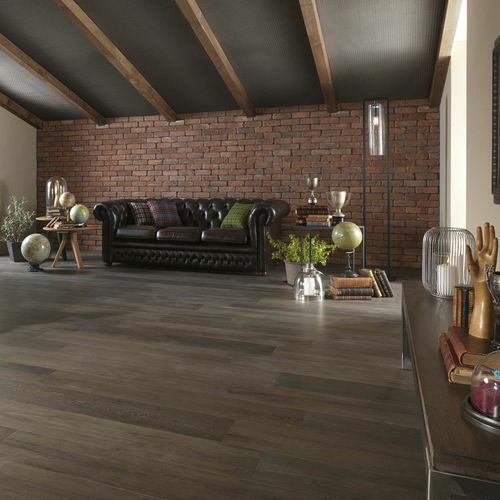 A perfect covering for an industrial-style loft, for classic furnishings. 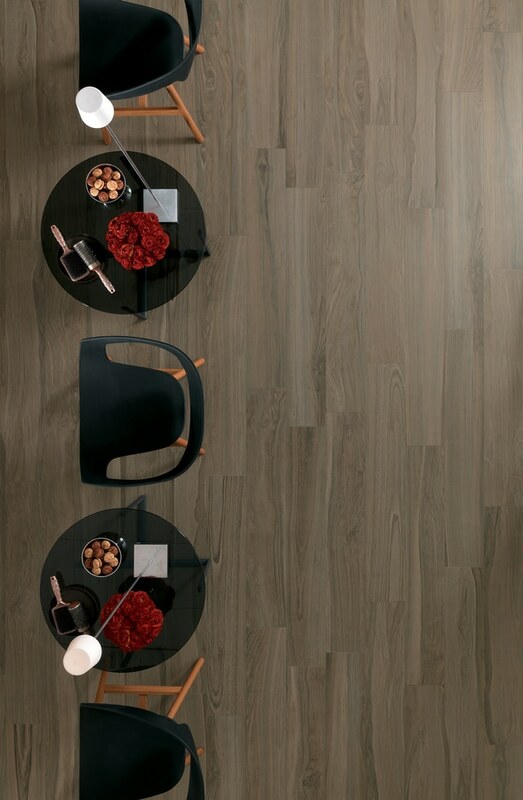 Napami Grisé reproduces a careful selection of walnut, one of the most valuable Wood in the World. 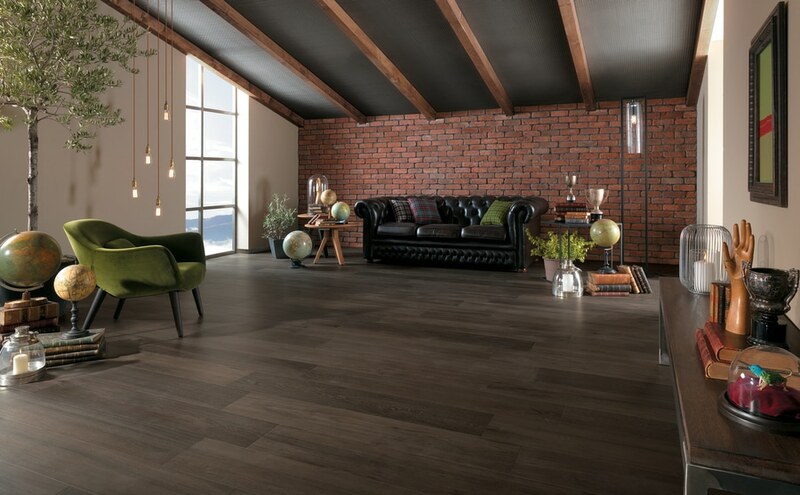 Napami Grisé is an extremely elegant solution, designed for those who are looking out for an original floor, with a distinctive character, for both domestic and commercial settings. 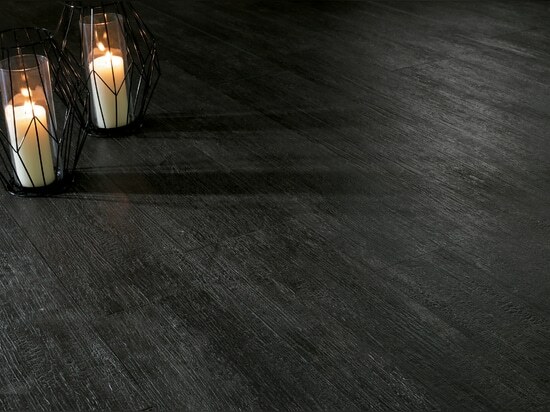 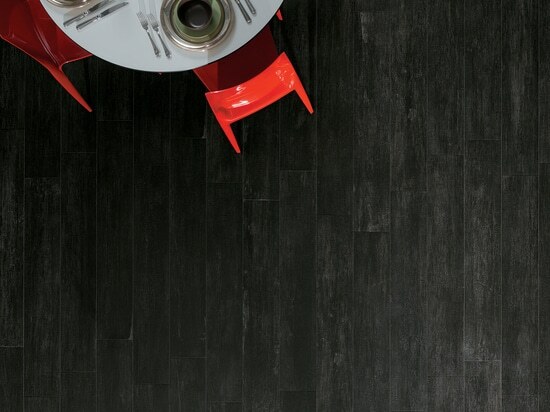 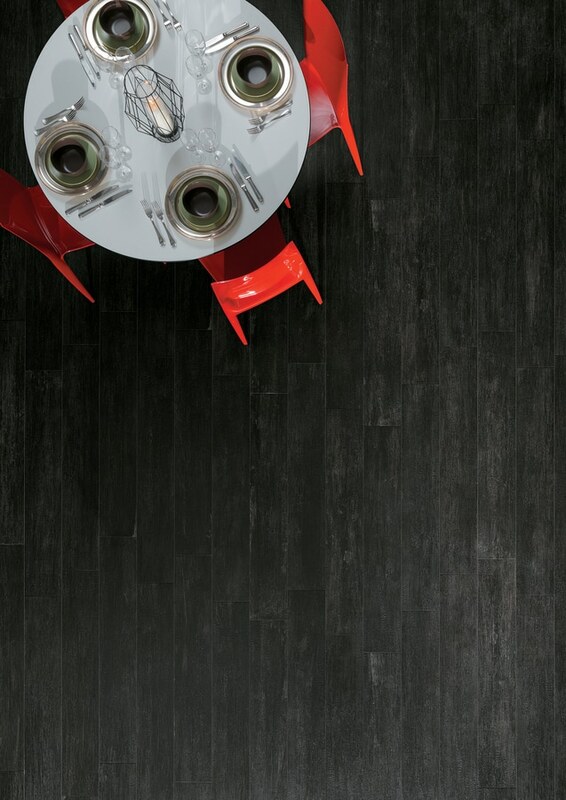 Napami Fumé reproduces burnt-look wooden planks in intense black tones. 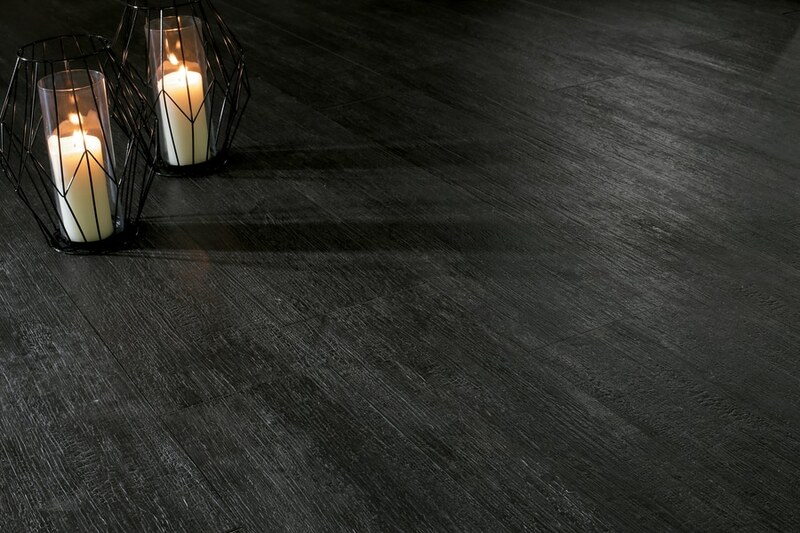 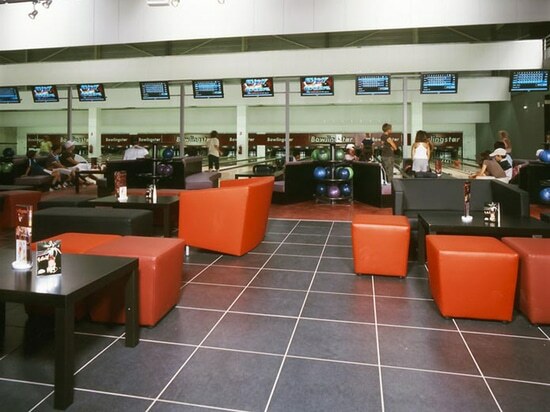 Napami Fumé is a floor combining elegance and originality, thus ideal for both domestic and commercial settings. 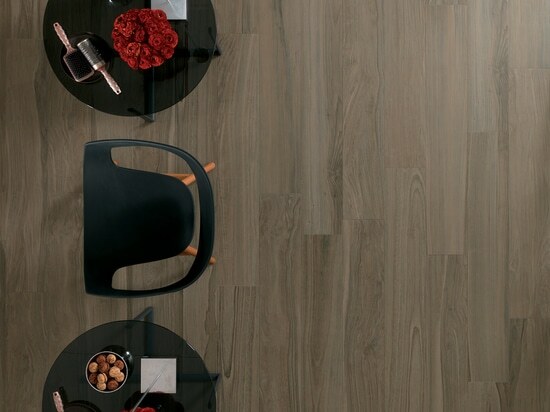 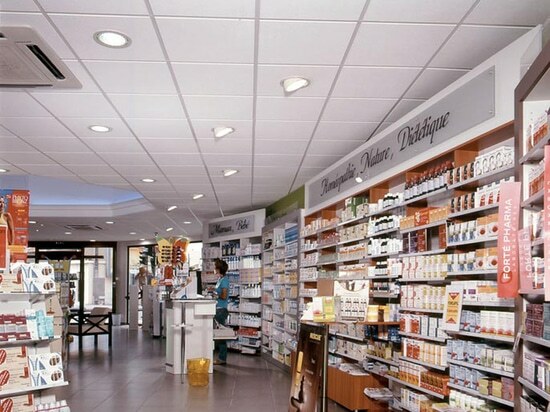 Napami is available only in the 20×120 format: a large size, an absolute must for any Novoceram collection, a format that contributes significantly to the aesthetic success of the product.